Gavinder Bhatia received her mechanical engineering degree and was transitioning to the business side. She talked to several mentors in her company about returning to school, and they said that she didn’t necessarily need an MBA to move forward. But when she attended a woman-in-industry networking event, she learned more about the Executive MBA and realized that it offered an opportunity to expand her strategic skills. In 2015, the percentage of women who entered EMBA Programs rose slightly from 25.4 percent in 2014 to 27.6 percent in 2015, the highest percentage in five years, according to the 2015 Executive MBA Council (EMBAC) Membership Program Survey. 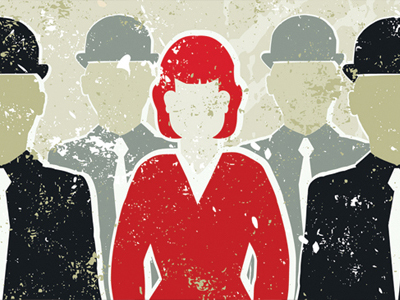 What draws women to EMBA Programs, and what do EMBA Programs offer women? For Bhatia, the program exceeded her expectations. “I absolutely wanted a transformational classroom experience,” says Bhatia, who was associate director of procurement at Kraft Canada when she entered the program. “I gained a tremendous amount of confidence,” she says, as well as the ability to walk into any business situation knowing she was prepared. The confidence and knowledge that she gained during her time in the program indeed made a difference in her next career transition to senior director of procurement for Weston Foods, leading North American Raw Materials. Glodina Lostanlen also benefited from her EMBA experience in similar ways. Her time in the program helped her build awareness about her leadership style, boosted her confidence, and broadened her understanding of business. It also helped her advancement at her company. “Immediately after the end of the program, I was promoted to a more senior role – not necessarily because of my MBA but in recognition for having contributed to the company so much during the MBA, as well as in recognition for my wider skill set,” says Lostanlen, vice president for Imagine Communications. Lostanlen wants women to consider the EMBA experience, in part because of what the program offers to them and also in part because of what women who complete the program can offer business.